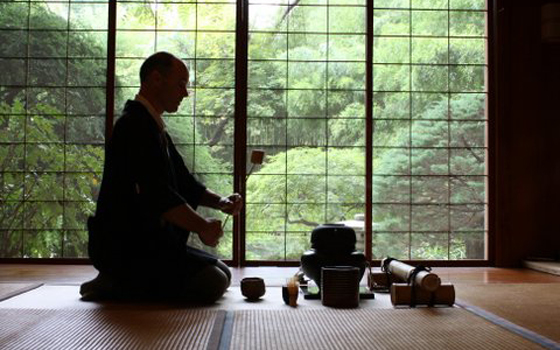 The exhibition Chado: The Way of Tea explores the prominent role and significance of the tea ceremony as an art and spiritual practice in China and Japan. Objects displayed have been selected from the College of East Asian Studies collection and loaned by tea enthusiasts in the Wesleyan community. Several media are represented, including ceramics, lacquer ware, bamboo, wood, iron, textiles, and calligraphy. In addition, photographs from National Geographic photographer Michael Yamashita '71 will be featured. Supported by a grant from the Freeman Foundation.